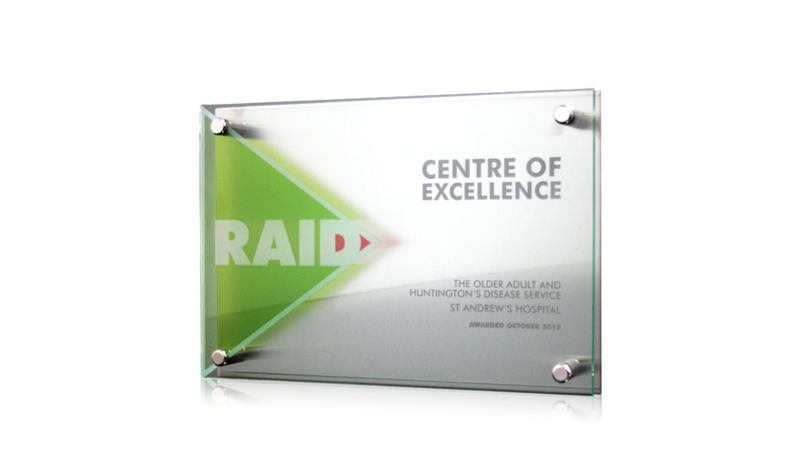 Commissioned to commemorate the opening of an APT RAID Centre of Excellence, this plaque offers a stylish mark for the occasion. Crafted with stainless steel and glass-effect acrylic, the completed piece has a professional finish, and is presented with the brand in mind. Stainless steel allowed for engraving, a flexible and sleek option for personalised detail. Wall plaques are a versatile option for any occasion. To find out more about how Gaudio Awards can design and create an award or plaque to fit your brief, budget, and brand, take a look at our five step ordering process, and get in touch with our sales team.